HP has unveiled HP Haven OnDemand, an important milestone in its Big Data strategy that gives organizations of all sizes cloud-based access to key components of HP’s world class analytics platform. HP Haven OnDemand, which runs on the HP Helion cloud, enables customers to analyze all forms of data, including business data, machine data, and unstructured, human information. Developers can also leverage this innovative web service, as well as engage with a robust and growing community to create next-generation applications and services. HP also announced that it will embed its unique Haven assets deeper into the HP Software application portfolio with new offerings that leverage Big Data analytics to help businesses transform their IT operations, power information governance and compliance, and achieve greater levels of information security. Empowering the Entire Enterprise with Data Discovery and Next-Gen Applications. HP Haven is a powerful platform that allows organizations to put data and insights at the core of their business, transforming every aspect of an enterprise, from the data center to mobile, customer-facing applications at the edge. With HP Haven OnDemand, customers, partners, and developers can tap into key components of the HP Haven Enterprise platform to gain blazing fast insights, rapid time to value and analytic functionality on all types of data, within minutes. 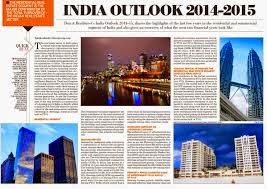 Five Key Trends that Indian Organizations Should Look Out for in 2015! The launch of several initiatives by the new Government, changing sentiments around corruption and an intense regulatory push made 2014 a watershed year for India. Corporate India seemingly followed suit, propagating good governance but at the same time, struggling to stay compliant. The general disposition of industry leaders’ points toward increased awareness around risks related fraud, bribery & corruption; but there is still immense ground to cover. Arpinder Singh, Partner and National Leader, Fraud Investigation & Dispute Services, EY India lists five key trends that organizations should look out for in 2015 as they move toward a more transparent and ethical way of doing business. The introduction of several regulatory changes such as the Companies Act 2013, revised SEBI guidelines, Lokpal Bill have demonstrated the government’s commitment to weave a more ethical business fabric. These changes, which can be attributed to a more globalised environment, have been strategically outlined for enhancing the state of corporate governance. Throughout the last year, organizations have been inducted into the new norms, made efforts to imbibe sound governance practices in their corporate DNA, including roadmaps to compliance. Given the legal implications that could arise out of flouting rules, companies have been assessing the moral standards of their employees and laying down expected behaviour in form of comprehensive codes of ethics/conduct. A recent survey conducted by EY’s Fraud Investigation & Dispute Services practice on the public perception on anti-bribery and corruption revealed that a strong majority, 87% stated their willingness to blow the whistle if they witness some unethical activity. However, 94% of the respondents still believe that greater enforceability is required. We can expect to witness greater regulatory enforcement in 2015, with the government coming down heavily on companies not complying with the regulations (may also amount to penalties being levied). PEs and VCs have continued to bet big on Indian entrepreneurial ventures, anticipating bigger return on investments. So while the ‘India innovation’ story is still going strong, some investors did end up burning their fingers in recent deals. This has made them more cautious than ever before. In 2015, it is expected that PEs will closely monitor their investments through increased due diligence – not just before but also post investment. Their approach to gauge the feasibility and sustainability of the venture will go beyond just weighing the business plan – and they will evaluate the credibility and depth of the ‘new age’ entrepreneurs. This will enable building a strong ethical foundation so the venture continues to progress as it achieves scalability. The financial services sector has been under intense regulatory and media scrutiny with the rapid increase in Non-Performing Assets (NPA) in 2014. Questions have been raised around the reasons behind these mounting cases – are they business decisions which went askew; were there any mala fide intentions; and is the lending and monitoring business conducted with integrity? The general sentiment with bankers seems to focus on enhancing internal controls around NPA reporting and monitoring. In 2015, it will be prudent to invest more resources to proactively handle stressed accounts through independent borrower checks, leverage technology & data analytics to catch early warning signals, develop internal skill sets on credit assessment and evaluation etc. These will play an instrumental role in easing the banker’s life. For this first time in 18 years, India fared better as compared to China in the Corruption Perception Index by Transparency International. Moving up by 10 places, it stands at 85 in the 2014 rankings which is a marked improvement in perception. Changes undertaken in the regulatory framework such as the Public-Interest Litigation (PIL), Right to Information Act (RTI, Companies Act 20`3 and the Jan Lokpal Act reflects the sentiment shift from the India Shining story to ‘Ache Din’. On the back of these changes, the government has also undertaken multiple initiatives such as ‘Make in India’, ’Invest in India’, ‘Digital India’, opening up of foreign investment in new sectors and amendments in labour laws. These initiatives are game-changers from the perspective of delivery of pro-citizen good governance which is a synchronised and coordinated engagement of the entire government. In the coming year, the government’s propaganda toward driving transparency within corporate India through pending anti-corruption bills (Prevention of Bribery Bill, updating of the Anti-Corruption Bill, Whistle-blowers' Protection Bill etc.) will see precedence. We expect to see an increase in the enforcement of anti-bribery and anti-corruption regulations with stringent measures. India has emerged as a strategic and cut throat market. To create a level playing field, the Competition Commission of India (CCI) has stepped in with an agenda to sustain competitiveness but at the same time, reduce instances of companies abusing their dominant positions. It is also opening up to arbitration being a cost-effective and swift mechanism for dispute settlement. There has been an increasing rise in institutional arbitration compared to ad hoc arbitrations; inclusion of arbitration clause will also continue to be an essential part of contracts to expedite resolutions. Going forward, litigations and disputes are expected to see an increase with organizations vying for a bigger slice of the market pie in their respective sectors. 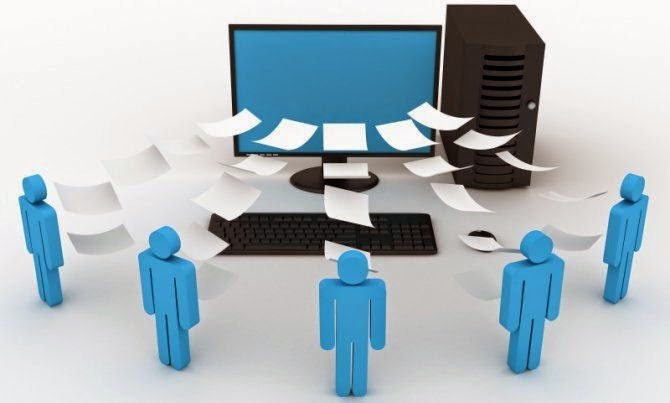 The use of e-Discovery will be critical in litigations as costs will need to be managed prudently. The introduction of electronically stored information in legal procedures will bring a new era of litigation, one which would not have businesses cut corners. Juniper Networks , a industry player in network innovation, today unveiled its first ever Global Bandwidth Index Report, which explores differences between how people use mobile Internet connectivity in their day-to-day lives at work and at home and what they hope to achieve using their connected devices in the future. Juniper Networks commissioned the independent firm Wakefield Research to survey 5,500 adults in developed markets, comprising Australia, Germany, Japan, the United Kingdom and the United States, which are typically moving quickly to implement high bandwidth Long Term Evolution (LTE) networks capable of delivering mobile services up to 100 times faster than older networks. Wakefield also sampled consumers in emerging markets, comprising Brazil, China, India and South Africa, where networks tend to be slower and less reliable. The study reveals that twice as many people in developing countries regularly use connected devices for educational purposes as compared to those in developed markets. In India, for example, 45 percent of people surveyed say connectivity has fundamentally changed how they access textbooks, complete coursework or use teaching tools, compared with just 7 percent in Japan. Further, access to the Internet plays a crucial role in the professional environment of an individual in India, as 69 percent of the respondents indicated poor and / or lack of connectivity had an impact on their professional opportunities. The study also reveals that 55 percent of respondents have experienced a significant improvement in their earning power due to connectivity in India. Consumers in developing markets are significantly more satisfied with their networks than their counterparts in developed countries, a surprising result given that network speed and reliability tend to be slower and less reliable in the developing world. * Respondents in the study gave India an “A+” grade (A being the highest and F, the lowest) in the matter of connectivity satisfaction, while the U.K. and Japan received an “F” grade. * 58 percent of respondents in India are satisfied with the current Internet connection. That being said, the majority (63 percent) of the respondents feel that speed still keeps them from fully utilizing the mobile connectivity capabilities. * 48 percent of the respondents state security concerns as a reason for mobile connectivity capability utilization being low. 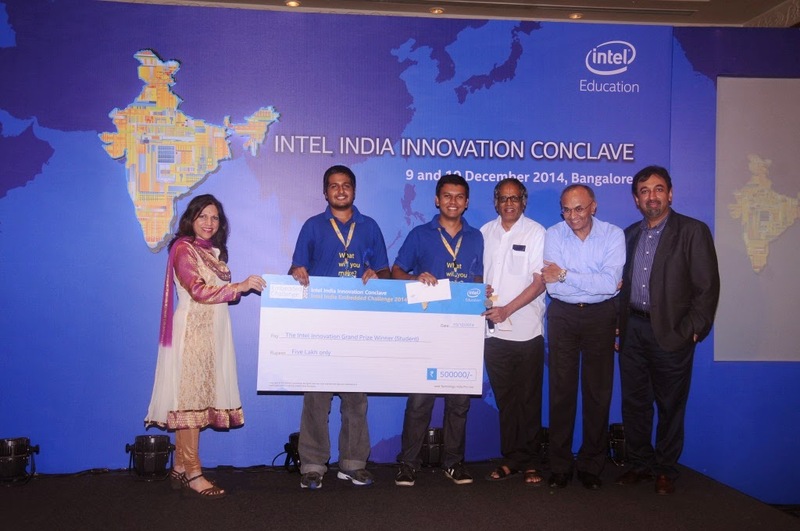 Intel India hosted its first ever two-day Intel India Innovation Conclave in Bengaluru to reiterate its commitment towards accelerating new ideas esp among youth in the country and as part of its valedictory session announced the winners of the Intel India Embedded Challenge 2014 (Intel IEC 2014). The Intel India Innovation Conclave offers a collaborative platform to enhance synergy amongst Government policy makers, academia and industry; to share knowledge and promote innovation which is a key imperative to foster national competitiveness and growth. This year’s conclave included discussions and deliberations on the importance of innovation and its role in nation building. 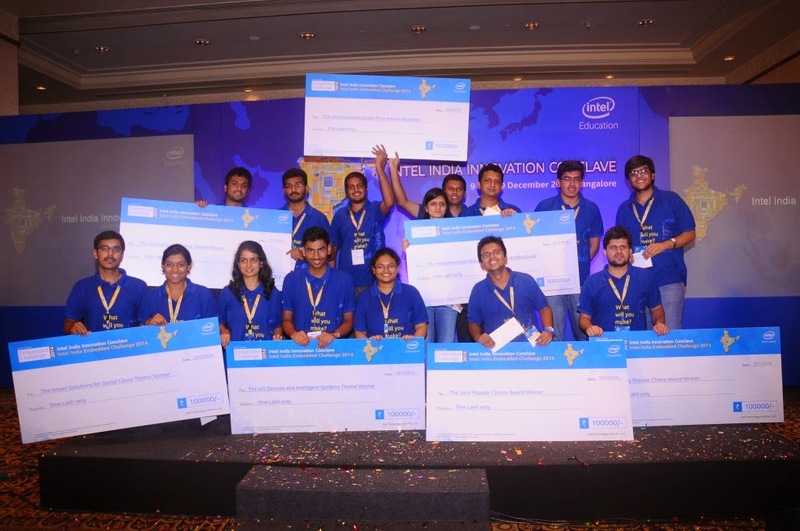 The Intel IEC 2014, set within the framework of the Conclave helped stimulate an environment of exciting innovation as it showcased 40 new ideas from young innovators through prototype demos displayed over two days. These projects have potential to evolve into useful business models in the near future. The focus of Intel India Embedded Challenge is on designing embedded solutions around a wide range of application areas. As a part of the Intel Higher Education Program, this competition enables and mentors young innovations to scale up their level of thinking and creativity. Moreover, Intel IEC offers a strong mentorship platform where Intel technologists volunteer their time and expertise to mentor each team to develop and prototype their innovation using hardware platforms provided by Intel. The participants in this contest get to architect, design and develop novel embedded applications in areas such as – Consumer Electronics, Digital Security Surveillance, Medical, Education, Storage and In-Vehicle Infotainment amongst others. The winners of Intel IEC 2014 were felicitated and awarded at the concluding session held today. A special jury comprising of Intel executives, Government representatives and academia shortlisted 6 best projects out of the 40 prototypes at display. These 40 working models were selected from 650 innovative ideas submitted by students and working professionals from across India. Intel IEC awards cash prizes of Rs 15,00,000 to the winners, including two Grand Prizes of Rs 5,00,000 each and a Jury Popular Choice Award and a Woman Innovator of the Year Award. The winners of Intel IEC 2014 were chosen on the basis of achieving the engineering goals, clarity and lateral thinking, project viability and the success of their prototype. The Contest showcased a range of exciting project ideas, designed and developed on the Intel Atom and Intel Galileo platforms across multiple application areas. Since 2010, the Contest has reached out to over 12000 young engineering students and professionals, over 2000 innovation proposals were submitted and over 100 innovations were prototyped till date. Avaya has announced it is working with Google on innovative contact center solutions for businesses. The collaboration combines Avaya’s expertise in customer engagement technologies with Google’s expertise in Web applications and Chromebooks to enable greater simplicity, flexibility and cost efficiency in contact center operations. The initial project enables simple set-up of new agents and supervisors in any location, ideal for managing peak or seasonal demands, as well as supporting business continuity, mobile and remote agent strategies. Customer service agents will be able to access the Avaya contact center agent desktop with Chromebooks through a WebRTC-enabled interface. The Avaya Agent for Chrome solution eliminates the need to download thick clients on individual agent endpoints, providing significant management efficiencies and a highly cost-effective means to enable fast access to the full suite of technologies needed for real-time responsiveness to customers. The project is one of the latest efforts by Avaya to leverage the WebRTC standard and drive a 21st Century approach to communications and collaboration. In addition, as part of Avaya’s strategy to adopt next generation business tools, the company plans to integrate Google Apps for Work in a number of areas to help speed collaboration and enable greater access to key materials shared by Avaya teams. Google uses Avaya technology internally both to power its global telephony infrastructure as well as to drive its contact center operations. “Contact centers are highly dynamic, business critical, functional areas. The flexibility to quickly and cost effectively equip customer service representatives during peak periods such as the holiday seasons, new product launches and marketing campaigns can make a significant difference in capturing revenue and improving customer satisfaction. Our work with Google will allow companies to gain that flexibility and cost efficiency using our leading contact center capabilities delivered via our channel and service provider partners and accessible through Chromebooks,” said Joe Manuele, vice president, SI/SP, Alliances, and Cloud GTM, Avaya. 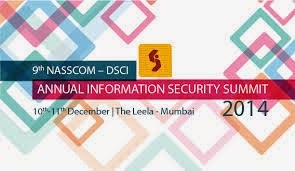 Data Security Council of India (DSCI) announced the inauguration of the NASSCOM – DSCI 9th Annual Information Security Summit (AISS 2014) in Mumbai on December 10-11, 2014. Mr. R. Chandrashekhar inaugurated the Summit. The summit is one of the key security event in the country where “India Meets for Security”. The Summit is one of biggest annual events on information security that witnesses large participation from government, industry, solution providers and user community, from India and abroad every year. It is one of the flagship events of DSCI and NASSCOM where solution providers discuss the changing threat scenarios, their response to new attack vectors and modus operandi of attackers. 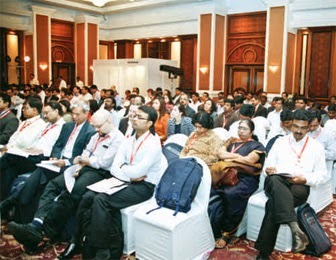 Leaders of organizations in different verticals like banking, telecom, insurance, IT-BPM, health, education, e-governance attend in large numbers, to find how challenges in their respective sectors can be addressed through new approaches and technologies. More than 500 participants are expected to attend the Summit. This year the attendees will immerse themselves in discussions around various policy and business-critical issues, gaining in-depth knowledge and hands-on advice from leading information security and privacy experts. Dr. Kamlesh Bajaj, CEO, DSCI during his address said on the occasion “This year we have seen a CEO step down as a result of a major information security breach – a first in the industry. It is hoped that this will make security a Board-level agenda, and that information security will not be kept within the remit of the CISO only. The threat landscape is getting worse, with expanding APTs, their non-detection for long periods, even after deploying newer technology solutions.” For companies to grow, go-to-market pressures using Social, Mobility, Analytics and Cloud (SMAC) technologies, are immense. Organizations need to keep pace with the security strategies, technologies and solutions as they emerge”. This year the summit is focusing on: BigData, BitCoin, Critical Sector Malware, Cyber Insurance, Data Security, DDoS, Digital Forensic, Global Cyberspace, Industrialization of Internet, IOT, IPv6 & 4G, Mass Surveillance, Net Neutrality, Privacy & Innovation, SMAC, Cyber espionage, Real-time and Embedded Software, 3D Printing, Embedded sensors, Wearables, Driverless vehicles and much more. The program is spread over three days, during which a number of workshops and roundtables around specific themes will be held to promote security approaches and solutions. 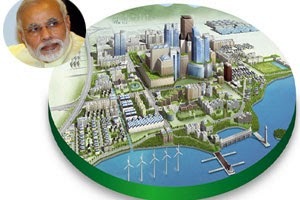 PM Narendra Modi’s ambitious ‘smart cities’ project is attracting foreign investments. Prince of Qatar Sheikh Dr. Hamad Bin Nasser A A Al-Thani , member of ruling family along with his Indian partner Mitesh Sharma is all set to invest approx Rs. 1,00,000 crores in coming years. This will be the first of its kind project in India. The focus of this huge investment is on ten smart-city projects in a first phase, whereas, the partners have shown interest in investing in various other areas well – power, solar energy, infrastructure development, healthcare and education. They would be laying the first foundation key stone ceremony in the next three months (most probably in February-March, 2015) and if things go well, they might think of investing more. 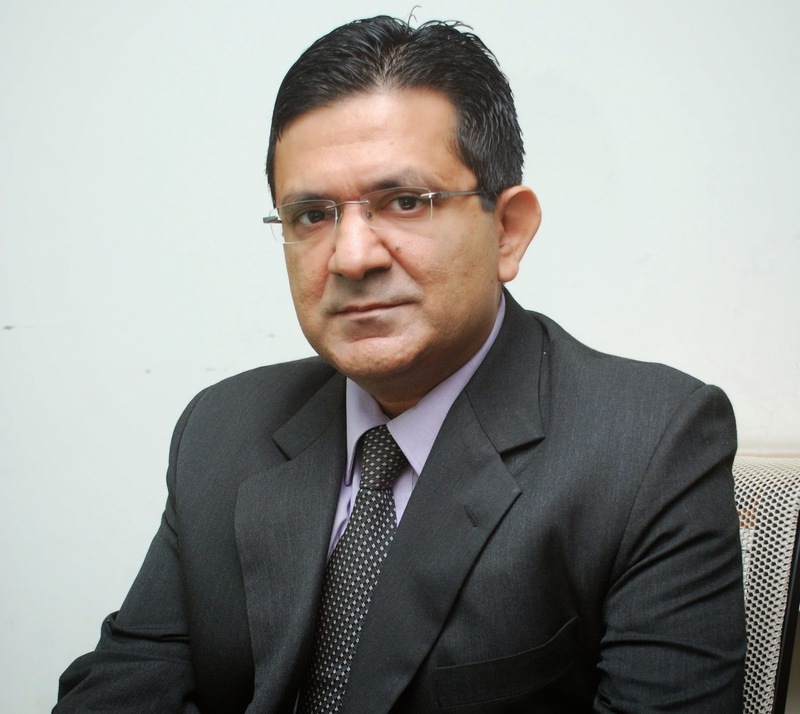 Mitesh Sharma, a young Indian entrepreneur is handling all investment proposals in India. He is identifying various project areas and locations to be worked on. He has already met many senior officials in India. 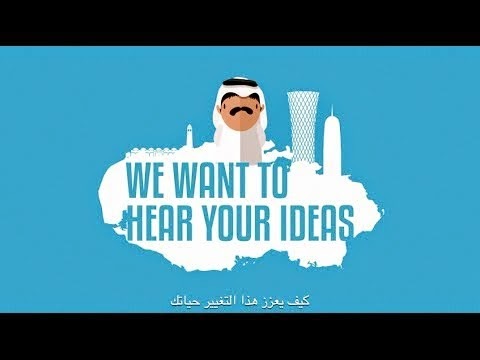 However, conclusive decisions over investments will be taken by Sheikh Dr. Hamad. The partners had met Andhra Pradesh’s CM Chandra Babu Naidu and Uttar Pradesh’s CM Akhilesh Yadav separately while the Excellency was in India last week. On the behalf of NRS, sheikh Dr. Hamad and Mitesh have already signed a MOU in AP for a smart city project. Investments worth Rs. 12,000 and Rs. 60,000 crore will be made in Uttar Pradesh & Andhra Pradesh respectively. 38,000 crores will be diversified in sectors like power and natural gas. Moreover, the team is already working on huge investment plans for various other projects. 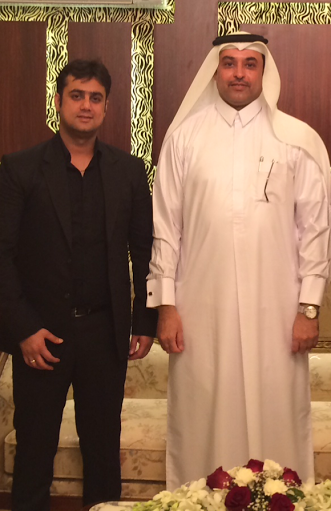 “The partnership between Sheikh Dr. Hamad Bin Nasser A A Al-Thani and Mitesh Sharma, is the first of its kind in India. His Excellency Sheikh Hamad is a prince of Qatar. Mitesh is a young entrepreneur who has also partnered with us in Doha. They will be working out together on these plans. Mitesh will be identifying the project areas and Sheikh will be taking decisions over investments. Mitesh is putting constant efforts and developing new ideas about developments in India.” – Qatar Office. Cisco and ILFS Technologies Ltd (ITL), a technology solutions company of Infrastructure Leasing & Financial Services (IL&FS), announced a strategic collaboration to utilize the Internet of Everything to develop digital solutions for India’s infrastructure and smart cities. Prem Saigal, Chairman, ITL, and Dinesh Malkani, President, Cisco India & SAARC, made the announcement along with Anil Menon, Cisco Deputy Chief Globalisation Officer and President, Smart+Connected Communities, and Durga Prasad, CEO, ITL. The collaboration between Cisco and ITL will focus on bringing together the best-in-class, complementary capabilities of both companies. Cisco's vision of the Internet of Everything, which is the intelligent connection of people, processes, data, and things, is already revolutionizing the way our cities operate, creating a more dynamic digital economy and also bringing new, richer experiences to citizens. IL&FS’s deep expertise in infrastructure development in India along with ITL’s excellent technology services capabilities strongly complements Cisco® IoE architecture and robust vertical solutions. The Digital India program of the government is focused on the digital empowerment of citizens, where infrastructure would be offered as a utility to every citizen, governance and services would be on demand, and citizens would be digitally empowered. The Digital India program aims to enable broadband in villages, universal phone connectivity, public Internet access points, public Wi-Fi in schools and universities, digital inclusion, electronic delivery of governance and services, and job creation. Cisco's vision of Smart+Connected Communities, which enables the transformation of physical communities into connected communities, has been embraced by more than 90 global greenfield and brownfield projects and includes the Delhi Mumbai Industrial Corridor in India, where Cisco is developing the ICT master plan for four pilot cities in the US$90 billion flagship public sector infrastructure project. By 2050 India will add 404 million people to its cities, according to the United Nations, while today at 857 million people, India has the largest rural population in the world. Cisco and ITL will collaborate to enable the delivery of cost-effective and efficient citizen services to urban and rural communities. The collaboration will focus on developing IoE based digital solutions for smart cities, smart villages and the infrastructure sector. Cisco and ITL will pursue joint go-to-market opportunities in India and other countries as required. The 'Intelligent Urbanization: Roadmap for India' report released by CII and Cisco in 2010 estimated that by 2020, India might have 68 cities with a population greater than 1 million. In 2013, CII and Cisco released a report titled ‘Smart City in Indian Context' which stated that India faced a shortage of 600,000 doctors, 1 million nurses and 1.2 million teachers in government schools. According to the Cisco Visual Networking Index™, 2013 – 2018, in India by 2018 there will be 1.5 billion networked devices, including 515 million smartphones, 177.1 million connected TVs and 62.1 million tablets. The Internet of Everything collaboration between Cisco and ITL will help the infrastructure sector and smart cities take advantage of the tidal wave of data generated in India and derive more value and greater insights from their existing networks. According to Cisco, the Internet of Everything total value at stake in India is $511 billion over the next 10 years, out of which the public sector value at stake is $116 billion, which includes creating smart cities and citizen services such as health and education. Cisco and ITL recognize the unprecedented value to be created in the way in which many services, such as outdoor lighting, parking, mobility services, beacons, kiosks, location-based services, sensor-based water defences, physical infrastructure monitoring and controls, and smart energy grid services, are digitized. The joint digital solutions will use intelligent networks to transform the way cities and communities are designed, built and renewed as well as enable digitally empowered citizens through the availability of government services in real time, online and on mobile platforms. Cisco and ITL will embrace IoE strategies in existing solutions and radical new solutions to digitize the infrastructure sector, smart cities and smart villages in India. Some of the solutions that will be jointly developed will focus on urban services and smart city infrastructure solutions such as traffic and transportation, public safety and security, command and control services, e-governance and a broader set of next generation urban services such as parking, lighting, traffic and citizen engagement services built on top of Cisco’s City Infrastructure Management. These solutions will help citizens access, in real time, infrastructure services such as traffic, parking, lighting, and water, as well as city operators to improve city infrastructure operations through sharing information in real time across agencies and systems. Karnataka has become the first state in India to launch Unified Mobile Governance Platform for citizens. President Pranab Mukherjee inaugurated the mobile governance platform. Called Mobile One the e-governance project in Karnataka is being labelled as the first of its kind in the country and brings a whole range of government services that are currently spread across hundreds of government websites into one common easily accessible location. The Mobile One service will also bring under one virtual roof some 1000 private services. A Mobile One app will be the gateway to the government services for mobile phone users while users of ordinary phones will be able access services through SMSes or calls to the toll free 161 number. Services like exam results, train, bus bookings and cab bookings, payments of bills for electricity, telephones, and tax payments will be accessible through the Mobile One service. The Mobile One e-governance project is being positioned by the Congress government in Karnataka as a flagship achievement of its 18 month tenure. The efforts to provide time bound and online services for government departments called the Sakala scheme had originally been launched by the BJP government during its tenure from 2008-2013. As many as 600 government services was made time bound under the Sakala scheme and officials were liable for failing to deliver services with the prescribed limit for each service. 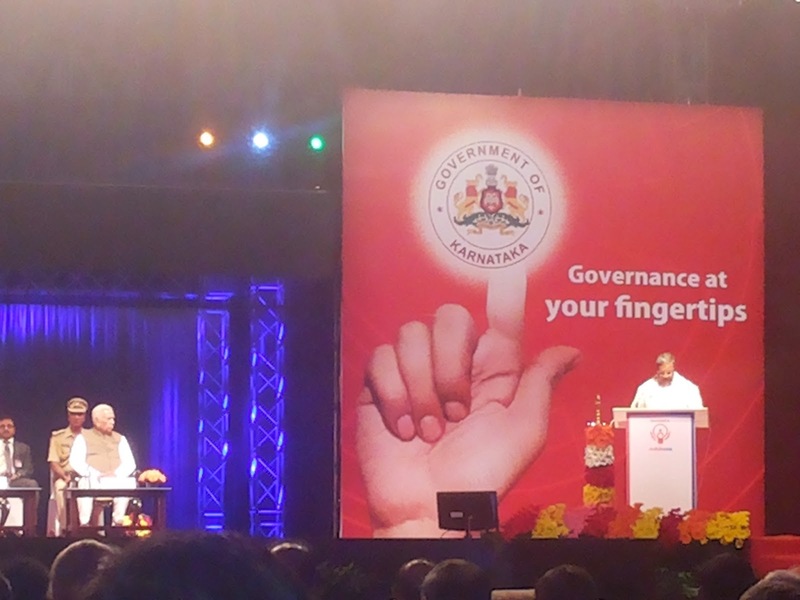 Launched by Karnataka government's Centre for e-Governance has over 4,500 services.Services include G2C, B2C and G2B. This anytime, anywhere, anyhow service will be available 24x7x365 days at any location in the State on any mobile device. The service can be accessed even on simple low end phones through integrated voice response (IVR), SMS or Mobile web. 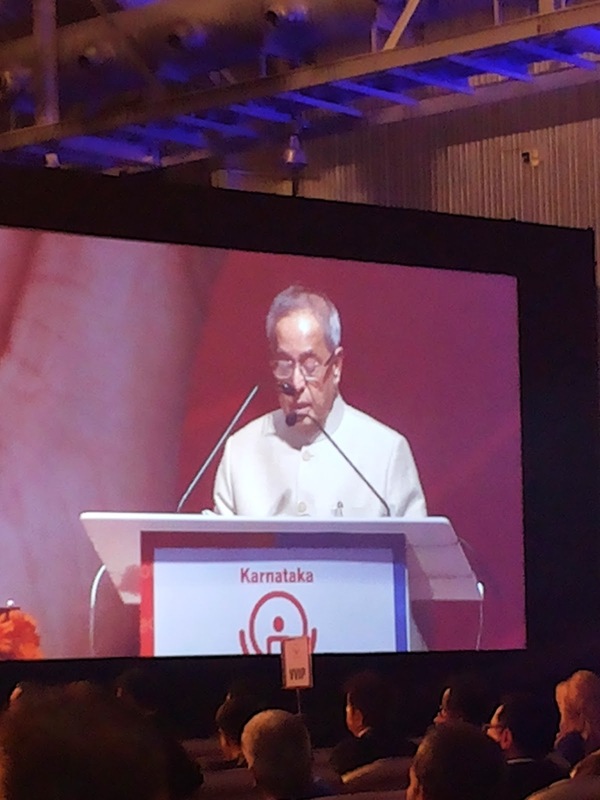 An ambitious project of the e-governance department of the government of Karnataka to bundle over 600 government services – like application and issuance of birth and death certificates, property registration etc – into one seamless web location, that is accessible over mobile phones is set to be launched here on Monday afternoon by President Pranab Mukherjee. The state government will facilitate governance at your fingertips from Monday . Around 4,000 services, public and private, can be accessed on your handheld phones with its initiative. Titled Karnataka Mobile One (M-One), the scheme is said to be the first of its kind in the country . Here, citizens can access 632 government-tocitizen services and over 3,500 business-to-consumer services at their finger tips by downloading an app or dialing 161.The scheme is scheduled to be inaugurated by President Pranab Mukherjee on Monday. Launched by the e-governance department, a portfolio held by chief minister Siddaramaiah himself, services offered include applying for passport and paying incometax and utility bills. Juniper Networks, the industry leader in network innovation, today introduced Juniper Networks OCX1100, the first switch to combine Open Compute Project (OCP) hardware design with a carrier-class network operating system,Junos OS. The new switch, which will be available the first quarter of 2015, provides customers who build large and massive scale data centers with an open, cost-effective, disaggregated switching platform. Large cloud builders, such as Web 2.0 and web-hosting companies, are seeking ways to more efficiently build data center networks at scale to support tens to hundreds of thousands of servers. While the largest, massive scale cloud operators have solved this need with solutions created internally, or white box switches, these options are challenging for many companies due to the level of resources required to develop, install and support custom solutions. Combining Junos OS with OCP submitted hardware delivers a unique solution that removes the burden of support, installation and maintenance from cloud providers while delivering on the promise of an open source hardware design. Juniper Networks OCX1100 will provide large cloud providers with proven software and open source network hardware that is much easier to deploy, integrate and support. * Open, standards-based programmatic interfaces, including Python, which allows custom scripts and applications to interact with Junos. * Support for native installation of tools in Junos, including Puppet and Chef, which enables automated programming and provisioning. * Real time ephemeral table programming to Junos software development kits (SDK). * Open Network Install Environment (ONIE) that enables disaggregation and loading of third-party network operating systems, freeing customers from vendor lock in. * Juniper is working with Alpha Networks, a leading original device manufacturer (ODM), on the hardware design, which has been submitted to the OCP for review. Approval of the design is expected by the time the switch is available for purchase. * The OCX1100 provides the added benefit of complete Juniper technical support services for the hardware and software, lowering risk and increasing reliability for customers. * The new product will be available during the first quarter of 2015, and purchasing options will include volume-based pricing. Successful companies recognize that attracting and engaging today’s talent — and ensuring access to tomorrow’s talent — requires robust, fluid, end-to-end human capital management (HCM) solutions. 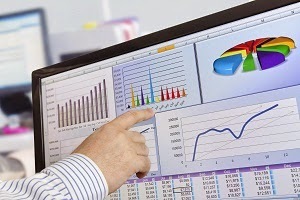 And an increasing number are turning to SuccessFactors, an SAP SE company, to do it. Leveraging the company’s market-leading cloud-based HCM solutions, innovative organizations in India are developing and executing workforce strategies that enable them to drive their business today and gain advantages tomorrow. United Breweries Limited is India’s largest producer of beer and has been associated with brewing for over 90 years. With UBL employees performing a wide range of job functions in locations around the country, the company’s primary requirement was to standardize processes and data handling across the organization. The company needed a technology platform that was easy to use and able to engage employees beyond the transaction with intelligent analytics. To address these needs, the company moved onto the cloud with SuccessFactors. “With SuccessFactors’ Goals and Performance , we have been able to improve goal-setting in the organization with clear content, metrics and timelines. We now have improved visibility to performance trends at different levels of the organization and across functions” said Suvro Raychaudhuri, General Manager – Human Resources, United Breweries Ltd.
Additionally, many companies such Emcure Pharmaceuticals, Relaxo Footwear, Cipla Limited, Godrej and Tata Communications from across various industries have recently opted for SAP cloud HCM solutions to achieve process efficiency and better workforce management. With SuccessFactors, SAP offers the most comprehensive, end-to-end HCM portfolio both on premise and in the cloud — from core HR and employee administration to talent management, strategic planning and workforce analytics. With these solutions, companies in India are now empowered to strengthen their people policies to assist in their quest to attract the best industry talent, achieve organizational alignment and improve overall productivity. The International Cricket Council (ICC) has today announced an innovative new partnership with SAP SE, a worldwide leader in enterprise application software services, as its exclusive Analytics and Cloud Partner for the ICC Cricket World Cup 2015. The partnership, which starts immediately and runs through to the end of the tournament, will see SAP utilize its HANA platform to power numerous live match experiences across the ICC’s network of websites, to enhance the experience for fans and media with real-time data, statistics and performance analysis that will help them get closer to the action and tell more insightful and informed stories. 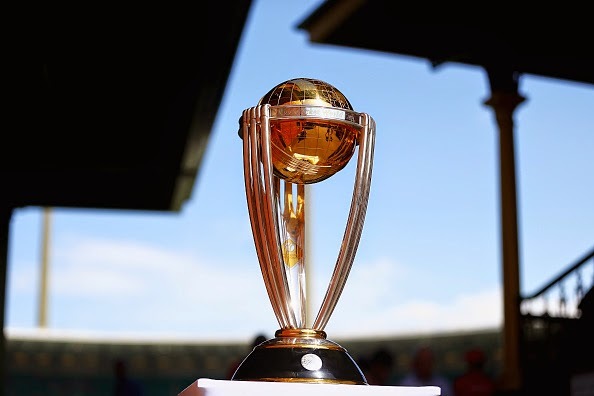 In addition, SAP will provision cloud-based services to host the ICC’s historical ICC Cricket World Cup statistics database, incorporating match data for its flagship ODI event. This data will be made publically available over the coming months, offering fans a multitude of ways to analyse previous team and player performances. 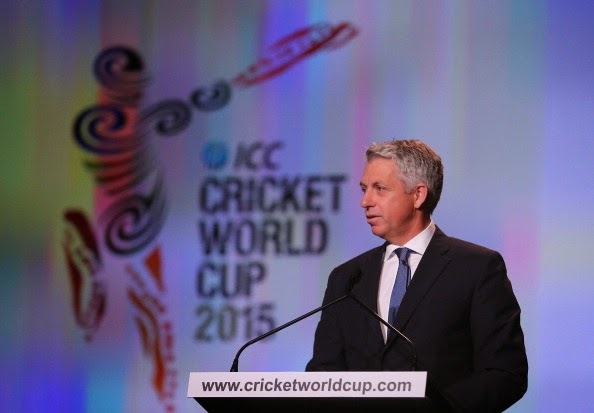 Robert Enslin, member of the Executive Board of SAP SE and President of SAP Global Customer Operations said: “With one of the largest fan bases around the world, SAP is excited to enhance the real-time analytics and stats to cricket fans during the ICC Cricket World Cup 2015 Finals. NetApp has announced that PI Industries, ranked amongst the top five Indian agrochemical manufacturers, marketers and exporters, has deployed NetApp to help preserve its critical data. PIIndustries, a leading Agri Input and Custom Synthesis & Manufacturing company, chose NetApp’s industry leading storage solution to protect its storage investment and scale with its growing business needs. PI Industries has more than five decades of experience in working with farmers, and marketing and distributors companies across India. In addition, PI Industries currently operates three formulation, two manufacturing facilities and five multi-product plants under its three business units across Gujarat (Panoli and Jambusar) and Jammu. To help manage its multiple storage solutions, PI Industries needed an affordable, easy-to-deploy, scalable storage and data recovery solution to help manage its disaster recovery solutions at PI’s remote site in Gujarat. PI Industries faced the challenge of a siloed environment, running different applications on multiple platforms with limited efficiency and no optimization, which created management issues and higher operational costs. With NetApp’s unified technology, PI Industries consolidated its multiple applications (SAP, Oracle, VDI and files) on a single storage platform to reduce complexity and leverage storage efficiency capabilities such as deduplication, data compression, thin provisioning, snapshots and RAID-DP to save storage capacity, thus lower costs. Additionally, PI Industries has cut operational costs by 20 percent by integrating with virtualized environments using NetApp’s storage efficiency capabilities. With the NetApp’s FAS storage systems, PI Industries consolidated a unified architecture that enables the flexibly and efficiently to manage and control the company’s data through a single storage and data management platform. 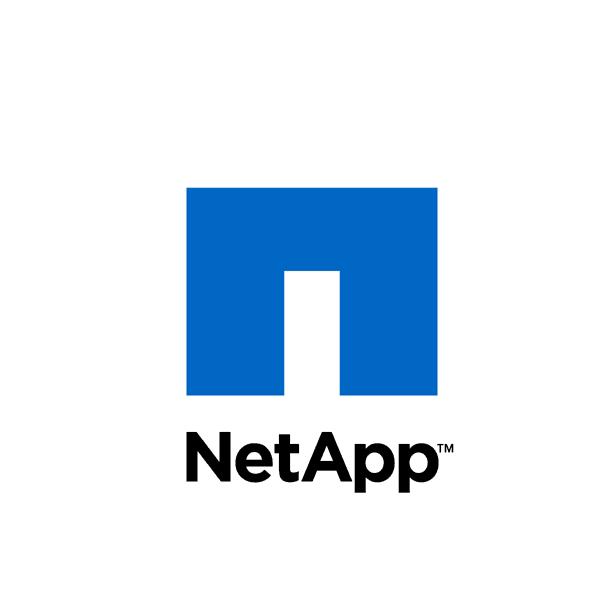 The robust technology offered by NetApp is specifically designed for small to medium-sized businesses. With NetApp, PI Industries created a disaster recovery site keeping its business process solutions (on SAP/Oracle for Manufacturing) always-on by leveraging NetApp SnapMirror, SnapManager for SAP and Flexclone to create a reliable disaster recovery architecture that ensures maximum availability for its applications. PI Industries has put its disaster recovery site to use by hosting test & development, and quality assurance from the site without impacting disaster recovery operations. By leveraging NetApp’s capabilities, PI Industries has achieved faster response time up to 20 percent. Microsoft Ventures announced the graduation of 11 technology startups from the fifth batch of its Accelerato Program. 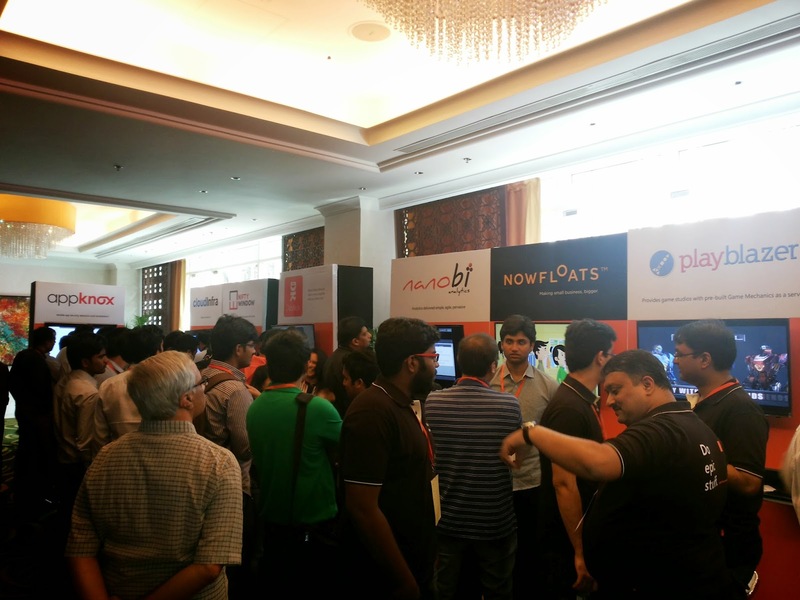 At a Demo Day organized here today, an audience of 900 plus industry influencers, venture capitalists and angel investors witnessed the accelerated progress made by CryptoPhoto, DabKick, Fairket, FlatPebble, Nifty Window, Playblazer, Appknox, DeltaX, ProHance, Tallenge and Trutech during the last four months at the Accelerator Program. Demo Day was part of day-long proceedings which included a new set of Think Next initiatives being announced as well. Congratulating the graduating companies, Ravi Narayan, Director, Microsoft Ventures in India, said: “This batch has made considerable progress during the four months with us, with seven of the 11 closing deals with clients outside India. Overseas VCs and investors are showing keen interest in our startups. It’s really heartening to see how our efforts are paying off in helping our startups get recognized at a global level. We are now gearing up to welcome our sixth batch, due to start early next year. Applications are coming in, and many are from international startups. Sharing his experience, Venkatesan Seshadri, CEO, FlatPebble, said: “Our four months in the Accelerator Program was a period of intense focus which helped us grow demand for our services 700 per cent and expand our offerings, thanks to the mentorship, enabling infrastructure and helpful peers. We are really happy we got this opportunity to accelerate our dreams. The 11 startups which graduated will join the 63 strong alumni network of Microsoft Ventures in India. While their four month stay at the Accelerator Program ended today, it also marked the beginning of another life-long association. 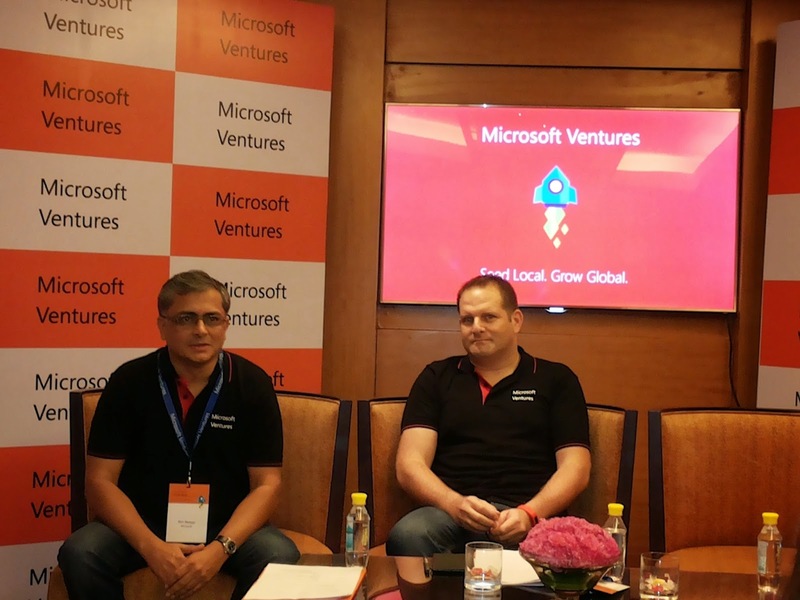 As alumni, they will continue to be supported by the Microsoft Ventures team, both in India and abroad, as they work on customer connect and technology advancement. 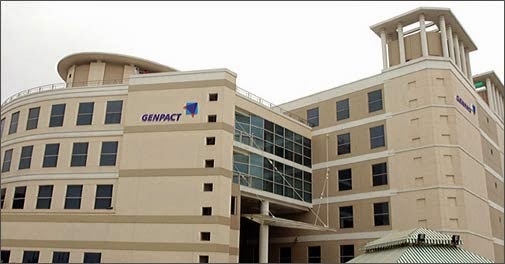 Genpact Limited, a global leader in designing, transforming, and running intelligent business process operations, is collaborating with the Center for Collective Intelligence (CCI), a research unit of the Massachusetts Institute of Technology (MIT) which examines how the latest technologies are changing the way people work together. The goal of this expanded collaboration is to generate non-incremental innovation in information-based operations through a new online community enabling the crowdsourcing of ideas. The Intelligent Operations Exchange (IOX) community helps participants "stumble into" innovative uses of leading edge technologies in business process operations. The Genpact and MIT CCI collaboration first began in 2012 to identify novel technology-based practices for process operations, and contributed to the maturation of groundbreaking practices such as Operations Network Analytics which applies big data social network analysis to large organizations in order to improve the effectiveness of operations. IOX's unprecedented use of “crowdstorming” (crowdsourcing + brainstorming) drives a deliberate collision of creative and serendipitous perspectives of thousands of people with diverse backgrounds such as industry experts, MIT scientists, Genpact practitioners, and clients. When confronted with novel technologies and asked to find applicability in their own world, this community will become the first place for process operations professionals to unleash their creativity. The IOX community is exploring the application to business process operations of technologies across hardware, software, and analytics – such as wearable devices and remote-controlled telepresence robots, personal automated assistants, rapid automation, and collective intelligence activities like prediction markets. Genpact, MIT CCI, and the community will continuously evaluate and select high-potential ideas for further investment and development. Micromax Informatics Limited today announced astrategic collaboration with Intel in India aimed at offering a bouquet of high-performance mobile devices to the Indian consumer. 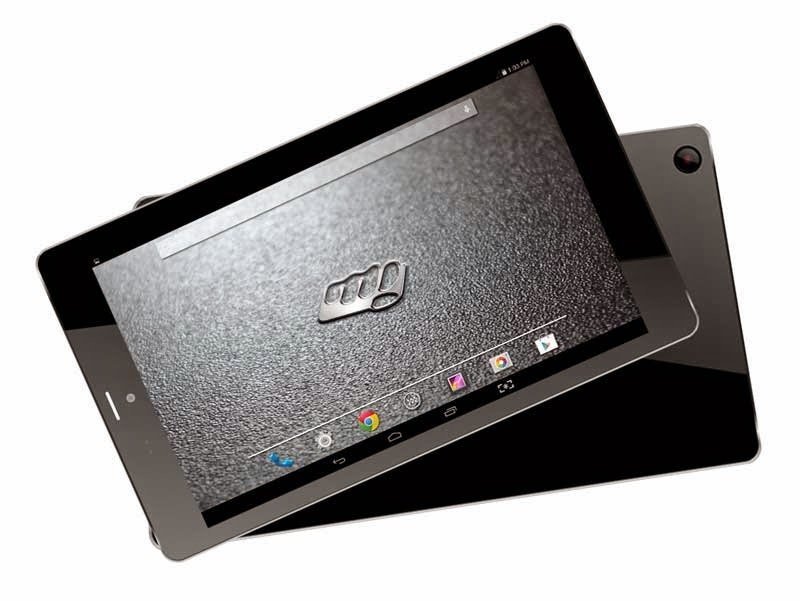 The company launched the 8-inchCanvas Tab P666 – its first Intel Processor powered device in India. Powered by the Intel® Atom Processor Z2520 (1M Cache, 1.2 Ghz), the new tablet will offer users a premium package with superior performance along with great aesthetics and an elegant glass finish design. ‘We are confident that Micromax’s broad reach will enable more consumers from even lower tier cities to empower themselves with the power of technology through this device which is yet another step in working towards making the dream of ‘Digital India’ a reality. Our collaboration has yielded an 8” tablet powered by an Intel processor that truly delivers performance without compromising on battery life and graphics while providing consumers real value for their money” she added. With a Pan-India presence in India, SoftAge Information Technology Limited, a leading Rs 300 crore firms providing solutions and services in document management services (DMS) is now expanding its presence in UAE, Saudi Arabia, Oman and also in African markets. SoftAge will also focus on new perspectives in IT business catering to the Indian market and will also look forward to meet the objective of tapping sustainable growth in the IT industry and lead generation of new national and international business opportunities. Indian IT Industry needs wide-ranging coverage in the following topic/sector clusters: Enterprise Content Management, ERP & Data Analysis, Research & Innovations, IT infrastructure and Data Centers, Security, Communication & Networks, and IT Services. “These events will generate vital content on a range of topics around key technology trends – four forces that are changing the way the world does business today – Enterprise Mobility, Social, Big Data & Cloud Computing,” adds Tikku. Started in 1994, SoftAge over the past two decade has bagged orders from major companies like Vodafone India, Indigo, ATC Towers, TCS, MTS, ISRO, GSI, Indian Airforce among others. 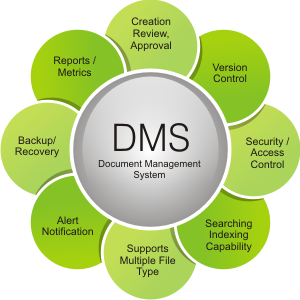 The company has been providing end-to-end document collection to warehousing. “We are growing at 25% on a year-on-year basis and expect a turnover of Rs 400 crore by 2015 and Rs 750 crore by 2020 with our overseas expansion. We are targetting big overseas customers across several industry verticals that we help us achieve our target,” remarks Tikku. In its endeavor to provide Indian consumers with latest technological innovation, Panasonic India today announced the launch of its new smartphone, ELUGA I for the Indian market. 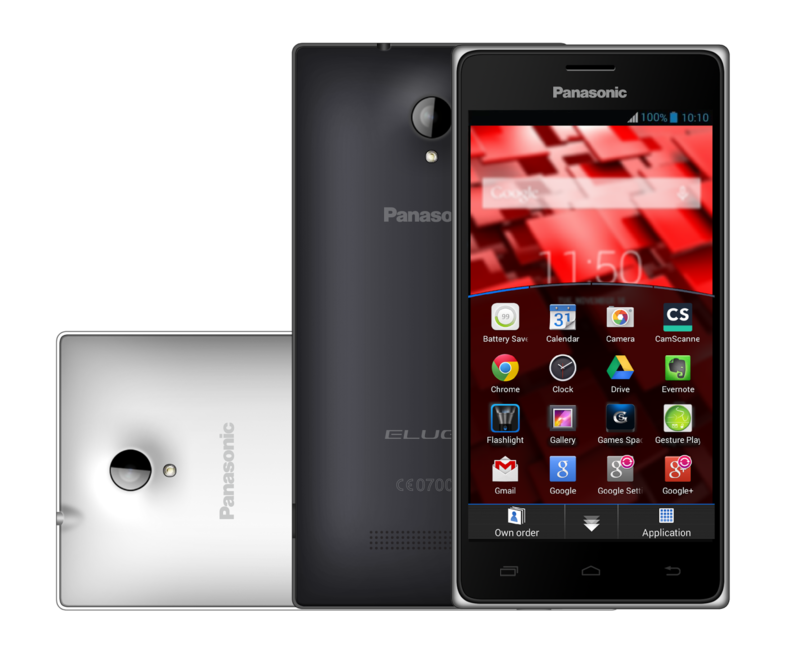 This is in continuity to the already existing ELUGA series; which has become one of the most sought after phones from Panasonic in India and it is these phones which have always been recognized for their design, superior build quality and unique user interface for single hand operation. 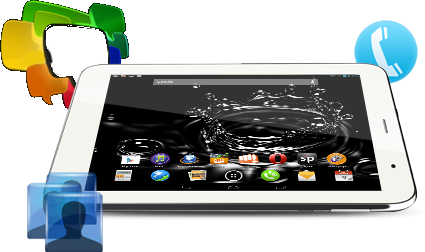 Redefining technological innovation and software advancement, the company continues to introduce devices which are equipped with top of the line hardware. The sleek design ELUGA I sports a 5 inch Raised Curve Display Panel for better viewing angles & for making longer viewing “Strain-Free” for eyes. Powered by Quad Core (1.3GHz) processor the new phone runs on the latest Android 4.4.2 KitKat operating system proving an immersive Android experience along with Panasonic’s Fit Home User Interface designed for Single Hand operation. 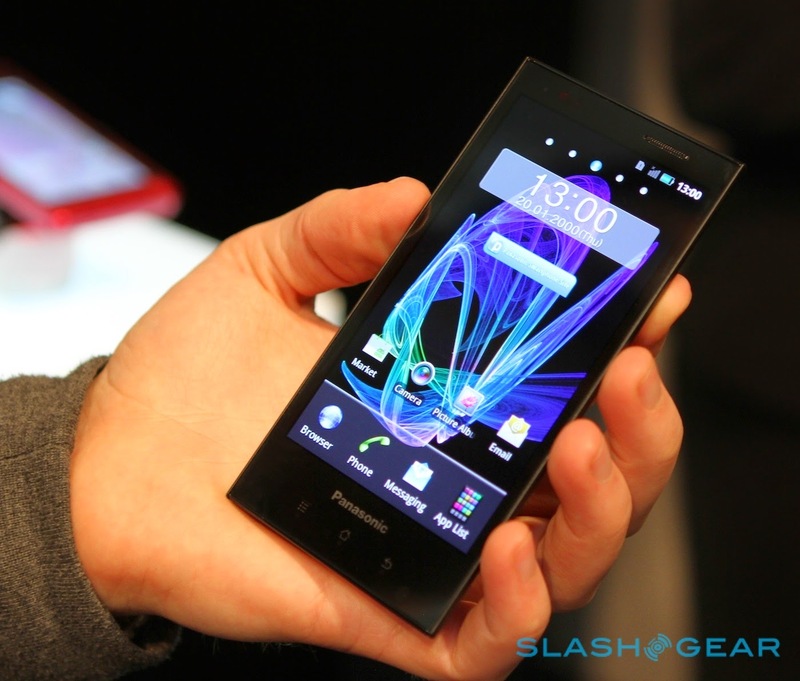 It has 1GB of RAM and 8GB of internal memory which can be expanded upto 32GB. The company has also introduced an innovative Smart Swipe functionality with ELUGA I, where in, a combination of number of fingers & direction of swipe can help user perform various predefined functions providing ease of access. In addition to this, the smartphone comes with an 8 MP rear camera with LED flash and 1080p video recording capabilities. The 2 MP front camera adds a face to all your video chats & 3G video calling. On Battery capacity, with a 2000mAh Lithium Polymer unit one charge faster and safer along with longer battery durability. The smartphone box packs an Interactive Flip cover with which the users can access the smartphone faster by easily locking/unlocking, attending calls and checking reminders & notifications with the smart Flip cover on. Also, it gives you ease of access with “Fit Home” user interface specifically designed for single hand operation introduced for ELUGA series along with some unique features like Gesture Play Infinite for accessing apps by drawing gestures on any screen, smart swipe for making the phone perform various functions by swipe of fingers & “Kwik Lock”, where the user can double tap the home screen to lock. 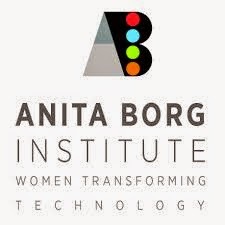 The Anita Borg Institute (ABI), a non-profit organization focused on the advancement of women in computer science and engineering, is partnering with two Government bodies, the National Science & Technology Entrepreneurship Development Board (NSTEDB), the Department of Science and Technology (DST), Government of India and the Indo-US Science and Technology Forum (IUSSTF), to create an entrepreneurial ecosystem for women entrepreneurs in India. The ecosystem will be established through the Women Entrepreneurship Quest (WEQ) Program. This announcement was made during the WEQ 2014 contest finals, part of the 5th Grace Hopper India Conference held on Friday, 21 November at the Lalit Ashok Hotel. WEQ is an innovative technology business plan competition designed by the Anita Borg Institute to promote innovation and ensure support to aspiring Indian women entrepreneurs. 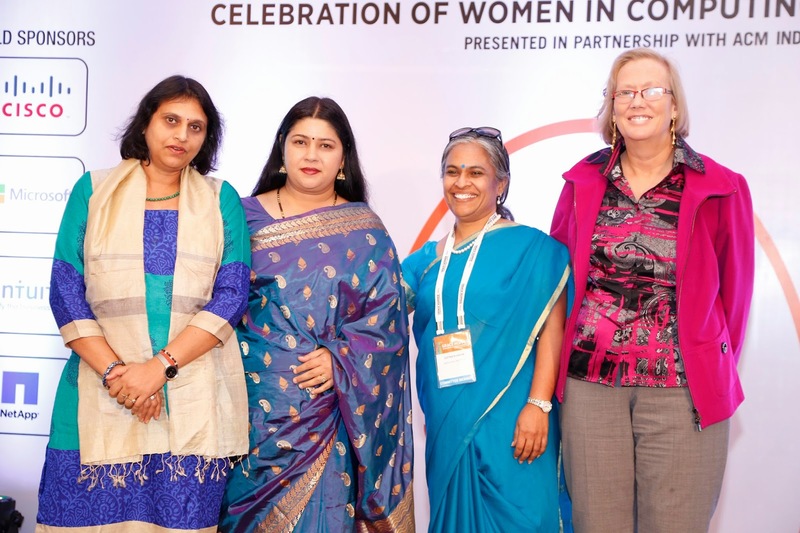 WEQ is held annually during the Grace Hopper Celebration of Women in Computing India (GHCI). The winner of the contest is awarded Rs 5,00,000 along with a host of other special awards. As per this partnership, 6 selected women entrepreneurs from the WEQ contest will be sent to the United States on a fully paid trip to get exposed to the entrepreneurial culture in Silicon Valley and will be provided with extensive mentoring, networking opportunities and access to capital, which is one of the biggest obstacles to growth for women entrepreneurs.The effort is to support networking amongst women entrepreneurs, including potential entrepreneurs, connect them with government agencies and other support organizations. Sreepriya Koppula, CEO of the Turnaround Systems Pvt Ltd won the WEQ 2014 Contest. She has developed technology solution Turnaround360 to make the online catalogs 3-dimensional and interactive. She impressed judges with her straightforward presentation and her thorough validations of her targeted market. She bagged cash prize INR 5 Lakhs along with host of other awards. 06 finalist selected from 107 entries received from across India, gave ten-minute venture pitch presentations to a panel of judges which included investors, technology experts, entrepreneurs and mentors. “The Government of India has initiated several measures to promote entrepreneurship among women as it realizes the critical role of women in national development. However, the government alone cannot sustain the movement of empowerment of women. There is need for organizations such as the Anita Borg Institute to act as catalysts and based on that belief we have entered into a partnership,” said Dr. Anita Gupta of the National Science & Technology Entrepreneurship Development Board, Department of Science and Technology (DST), Government of India.